A memory came to me a few days ago. When I was growing up, watercress was a weekly favorite in our house. We ate it as part of a salad, a British salad, which is really a quick meal. You just prepare some salad vegetables, including watercress, add either boiled potatoes or boiled new potatoes and add a meat, usually deli style sliced ham and plenty of salad cream. Watercress is a small green leafy plant that grows in water such as rivers and springs. It is usually picked in clumps and eaten raw, after washing it thoroughly. I don’t think that the above salad is healthy or desirable as part of a diet, it’s just what we ate. Thinking about watercress encouraged me to look for some in the store, and I was surprised to find it here in the U.S.A. I bought it and I have added it to sandwiches (with flax and chia seed bread and full fat real butter) all week, it is very good. It tastes like you would expect green stuff to taste, but it has a slight bite to it, similar to pepper. The bite does not linger, you just experience it and then it disappears. I researched watercress and I was happy to discover that it is very nutritious. Watercress has a long history that goes back to ancient Greece, the Roman Army ate it as a regular part of their diet and the British “working class” ate it on a regular basis, as it was plentiful and cheap. 4 percent of vitamin E, thiamin, riboflavin, vitamin B-6, magnesium, and phosphorus. Studies have found that among many other benefits, watercress is thought to aid weight loss as it has minimal calories and many nutrients. It contains more vitamin C than most other vegetables and fruits. Watercress may also help athletic performance due to it’s high concentration of nitrates which is very helpful with a weight loss exercise program. Watercress can be added to cooked recipes, used as a garnish, added raw to sandwiches added to salad or used in place of lettuce or spinach. I have only eaten it raw and I think that I prefer it that way. I used to eat handfuls at a time and I am getting back to that habit now after re-discovering it. I do sprinkle a little sea salt on the Watercress, but I guess that practice is not really recommended for weight loss. 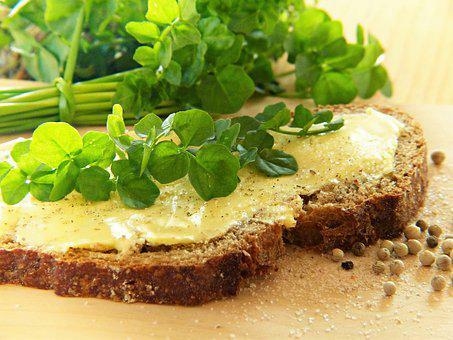 Try watercress in your diet and see what you think, I like it a lot and I am glad that I have re-discovered it.